This entry was posted in Uncategorised on 28th April 2016 by geoffreyboot.org. 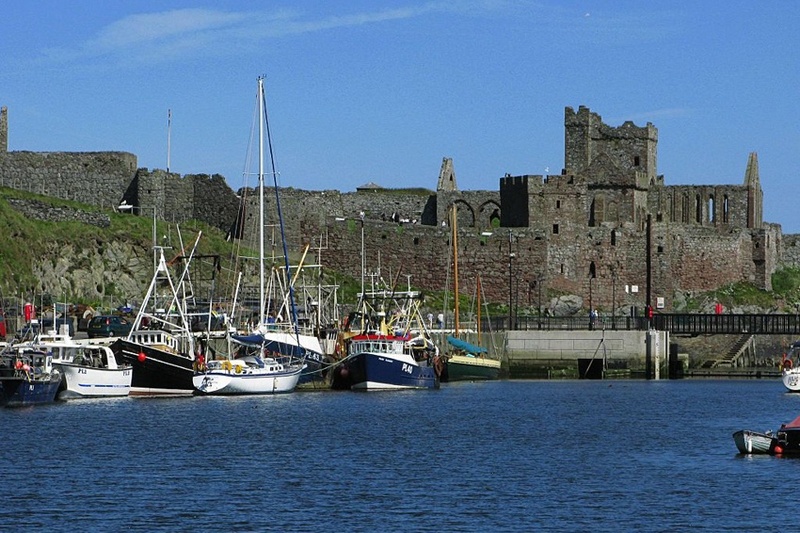 As regular readers of my blog will know I have for the last five months been involved with the Social Affairs Policy Review Committee (SAPRC) which has been reviewing Children’s Social Services in the Isle of Man. It has been a much needed inquiry especially after a few years ago when the new Safe Guarding Regulations were bought in. Referrals to Social Services were running at around 1,000 per year, a rough equivalent to the birth rate. If that had continued then nearly every child born in the Isle of Man would have at some stage been referred to Social Services and this is patently not necessary and very costly. That fortunately is history but there continue to be quite serious allegations against Social Services and the way in which they interact with families and their children. We have taken evidence in confidence from 21 people over the last few months and some of it is fairly harrowing. I said at the recent oral hearing with Debbie Brayshaw, Director of Children’s Social Services, that we have seen some very distressed, disturbed and often frighten people who instead of viewing Social Services as help and care feel intimidated and threatened. I understand that Social Workers are in a difficult position, they’re damned if they do and damned if they don’t. I would like to think that the emphasis is now more on the family rather than just safe guarding. It’s all very well being ultra cautious but when vulnerable people and children are involved there are often unforeseen consequences and a legacy of mistrust. 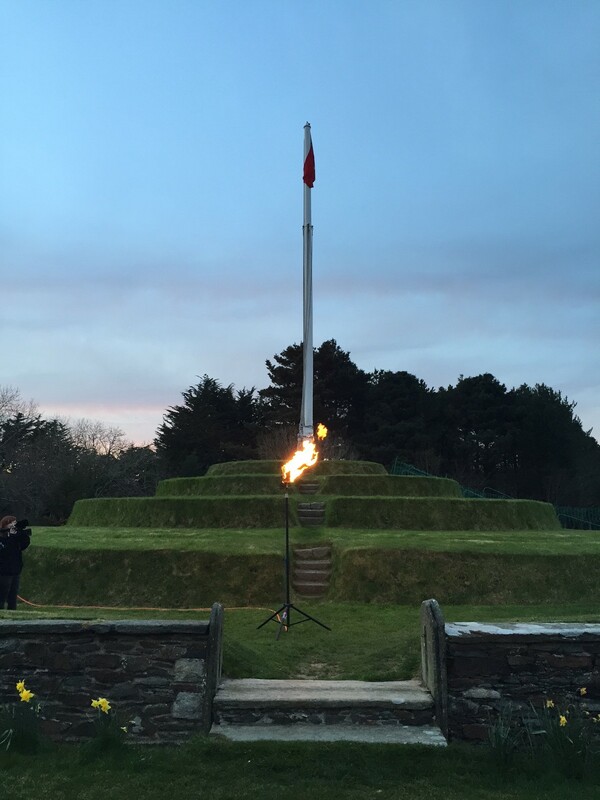 As a result of the Tynwald debate on Wednesday 20th April, the matter has once more come to the fore. It seems as though the task is nowhere near complete. We really need to get a handle on this and bottom it out as whilst some of the things that we have heard about are historic, I believe that some practices may still be ongoing. Ms Brayshaw admitted that there has been a huge churn of staff particularly during the years I refer to earlier when there were simply not enough staff to cope. Staff have been and continue to be bought over from the UK with no or little knowledge of Manx Law and also the social fabric of the island. Better training is required for new recruits, particularly from the UK and I do hope when we finalise our inquiry there will be some recommendations that the Health Department will be able to implement. This entry was posted in Uncategorised on 27th April 2016 by geoffreyboot.org. 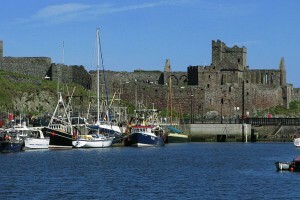 AM – Chaired the Retail Training and Skills Committee, part of the Isle of Man Retail Sector Strategy promoted by DED. An interesting meeting, a number of work streams and some good stuff in the pipeline, it never fails to amaze me just how many grants are available for retailers but are simply not taken up. There are now apprenticeship schemes for employers that will pay £40 per week for the first year and £30 for the second year, well worth looking into I would have thought for smaller and medium size businesses. A reminder that on 4th May between 1500 – 1900 DED is hosting a Regeneration/Grants Drop-in at Peel Commissioners Offices. I will be on hand and hope this will attract an audience of business people in Peel where we can showcase some of the assistance available from DED. An evening visit to St Johns for the official beacon lighting celebrating Her Majesty’s 90th Birthday, ably hosted by new Captain of German Parish Allen Corlett. This entry was posted in Uncategorised on 22nd April 2016 by geoffreyboot.org. Second day of Tynwald Court sitting. 14 items covered to short order and then we bogged down on the last 4. Item 22 was a move to have the Legislative Council and House of Keys vote as one body in Tynwald. On analysis this would have given the unelected Council an ability to sway nearly any vote when combined with the Council of Ministers block vote so Members sensibly voted this down. Douglas Promenade and the future of the Horse Trams led to a lengthy debate which fortunately led to am ongoing commitment to retain this heritage transport link within the new or repaired promenade schemes. There was a lengthy debate on Children’s Social Services brought about by a motion from Mr Karran revolving around allegations of falsification of files and oppressive treatment of individuals. In a way I felt that I had wasted 5 months sitting on the Social Affairs Policy Review Committee (SAPRC) where almost weekly we have been taking evidence from individuals affected by Social Services and on two occasions in public taken evidence from the Department and pulled no punches in our questioning. The final result of the debate was a referral to an independent body and it will be interesting to see whether their findings confer with the SAPRC. A final motion revolving around value of our banking services resulted in another debate that confirmed what I already knew from my role in Economic Development, that we are doing all we can to encourage modern and alternative banking methods but we are very hamstrung by what is happening elsewhere with regard to regulation and capital reserves etc. Lunchtime saw a presentation on mobile phone base stations and masts and their safety in terms of the electromagnetic radiation affect on health. An excellent presentation on ‘Health Issues in Perspective’ by Henrietta Ewart put things in good context and was very reassuring both in terms of the hand helds we use and the masts. The frequencies are non ionizing with output regulated and there is apparently no evidence from anywhere in the world, despite many detailed studies over the last 30 years and even longer, when it comes to radio waves generally that we are at risk. 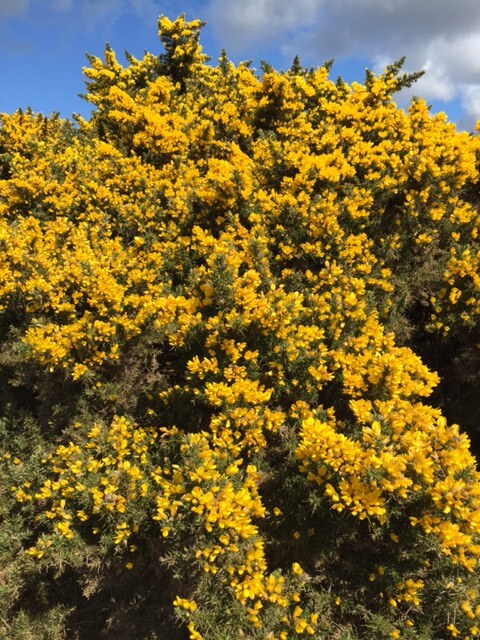 This entry was posted in Uncategorised on 21st April 2016 by geoffreyboot.org. All set for a long day, one of the main items Public Sector Pension Reforms was withdrawn before the sitting. An emergency motion was proposed to force a debate but I supported the withdrawal by the Council of Ministers as I felt there were a number of unresolved issues including future projections and protection of existing pension rights that might better be explored outside of Tynwald so that we may revisit the matter in June. There were 11 oral questions followed by the main order paper. We had nearly two hours of debate over the proposed corporatisation of the Isle of Man Post Office. In the end 5 of the recommendations in the report were voted down whilst the main motion to receive the report now with recommendation one only passed. It will be interesting to see whether any further proposals come forward before July. I suspect this is unlikely, I certainly couldn’t support the recommendations at present. It seems to me that you have to have a good reason for corporatisation or privatisation and at the moment that case is not being made and we have too little detail about future service provision including sub Post Office and whether or not corporatisation Post Office would compete in sectors already adequately provided for in the private sector ie insurance, banking etc. Vision 9 have now been formally appointed as the TT promoter for the next 10 years, although there are some key performer indicators that will enable Government to terminate the contract in the event of non performance. We adjourned at 8pm and will be sitting tomorrow morning. This entry was posted in Uncategorised on 20th April 2016 by geoffreyboot.org. A stroll up Beary Mountain behind our house in St Johns. 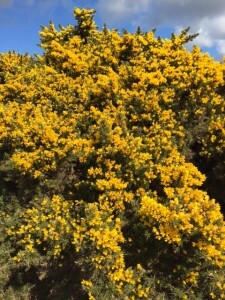 The gorse is magnificent at the moment and although I don’t particularly like it as a landowner as its very invasive the smell and spectacle were something to behold. This entry was posted in Uncategorised on 19th April 2016 by geoffreyboot.org. A fine day and many thanks to the volunteers who helped deliver my West Newsletter specifically aimed at my new electorate in Peel. An opportunity to introduce myself and a great way of seeing the new constituency. I discovered places and houses that I didn’t know existed. A job well done thanks everyone. 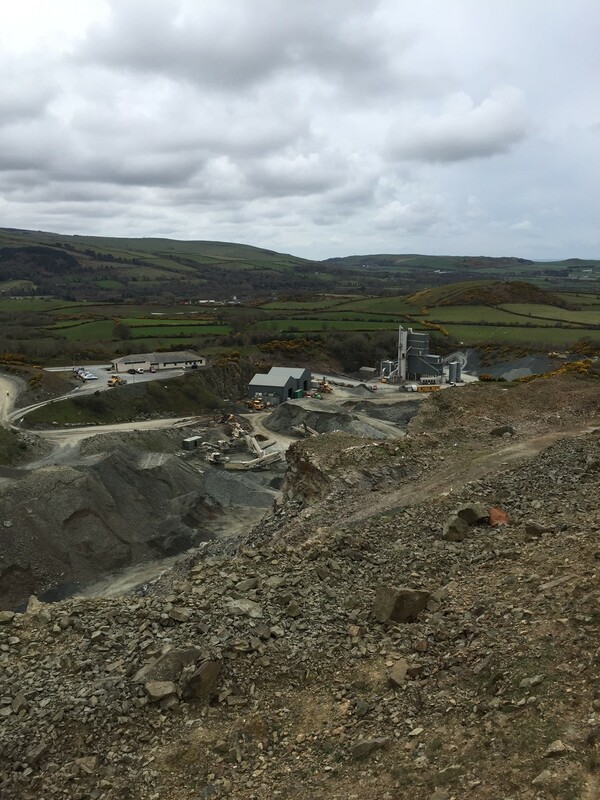 Mid morning visit to Corletts Ballaharra Quarry, a look at their recycling facilities which now produce most of their aggregate. 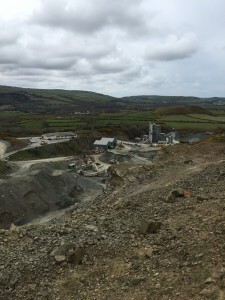 Later a visit to Government owned Poortown Quarry the only source of igneous aggregate used for tarmac production on the island. A big hole but reassuringly another 90 plus years of stone in reserve. AM – Department of Economic Development catch up with various section Heads responsible for my delegations. Lunchtime Public Sector Pensions briefing somewhat controversial at present. Have had quite a bit of correspondence from constituents, another item on the Tynwald paper for next Tuesday. Later a Social Affairs Policy Review Committee follow up meeting with the review of the Health Procurement Report due to go before Tynwald in May. 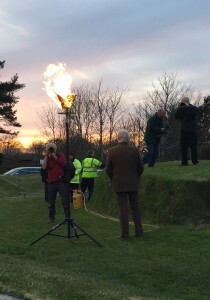 PM – Some welcome entertainment, attended the TT launch at the Villa Marina. It looks like we are set for a good TT, much good humoured banter between competitors.